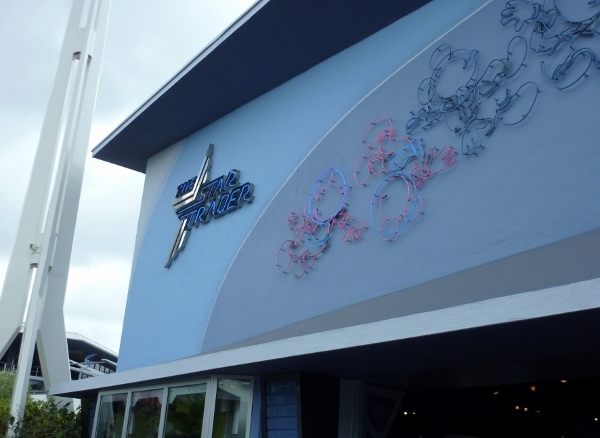 This weekend, I got a chance to go shopping in the newly reopened and rethemed Star Traders retail shop in Disneyland‘s Tomorrowland. 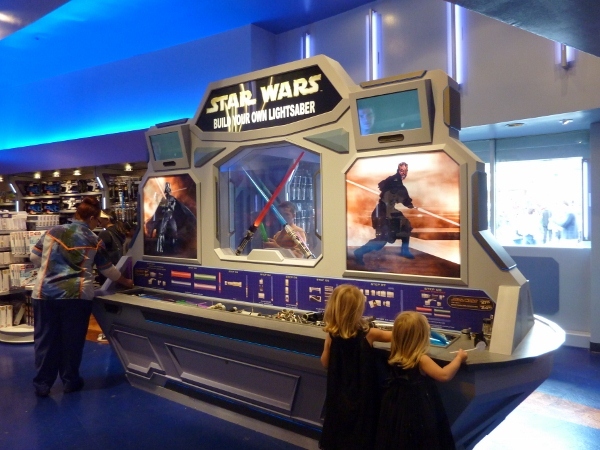 The reopening of The Star Trader is just the first step in the reality that the opening of the updated Star Tours attraction is just around the corner! 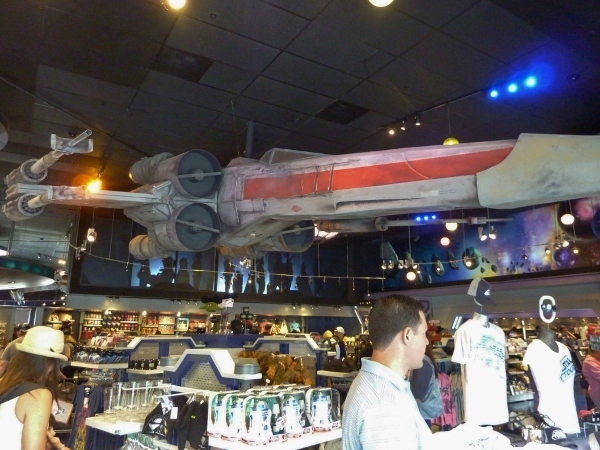 If you plan on riding this highly anticipated attraction, you won’t be able to miss this shopping adventure, as the exit for Star Tours: The Adventures Continue takes you right into its mecca of anything a young Jedi needs. but the interior is a whole new brand of space excitement. 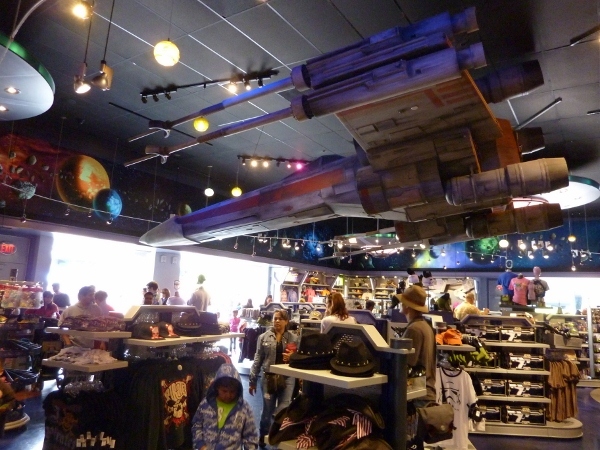 Perhaps the biggest change to the design is the addition of an X Wing fighter, that greets guests as they enter the store. 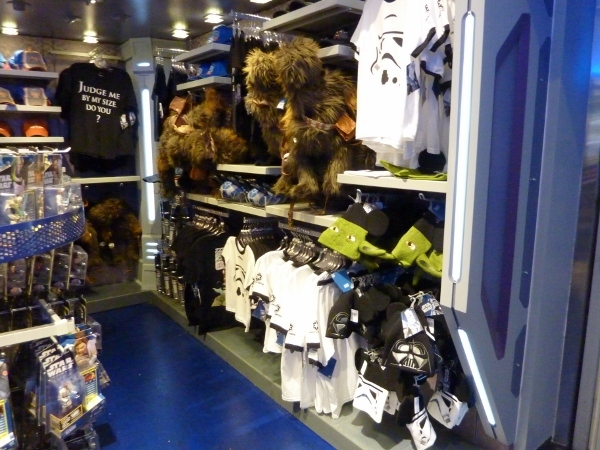 as well as something I thought was the most intriguing addition – a peek into the “queue” of Star Tours. 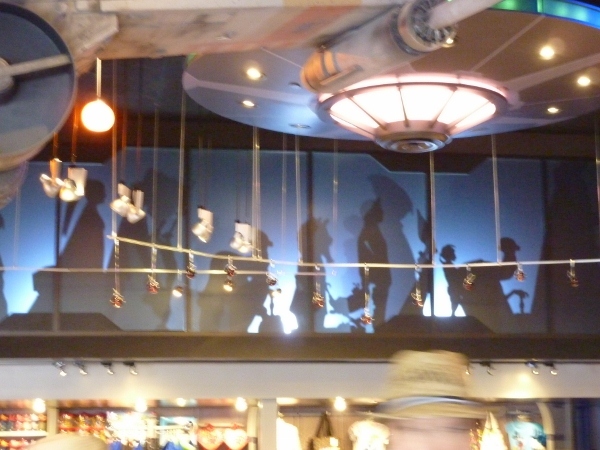 High on the rear wall, you get a glimpse of the shadows of your fellow passengers, as they move along the queue to enter the attraction. It’s amazing who passes by. I think die-hard fans will get a kick out of playing “Guess my species” as the passengers go by! 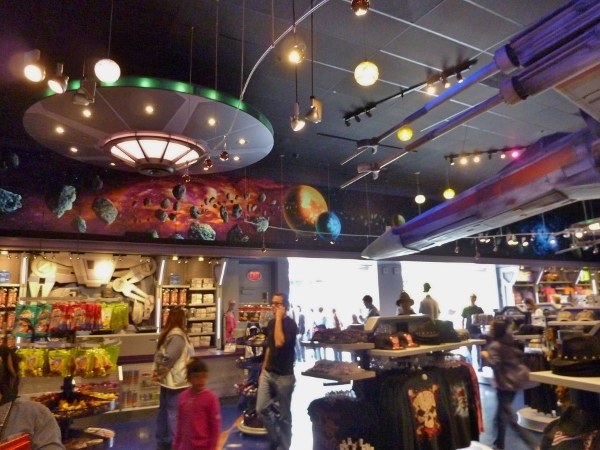 The store boasts an expanded line of ride and movie-themed merchandise, as well as many old favorite collectibles. 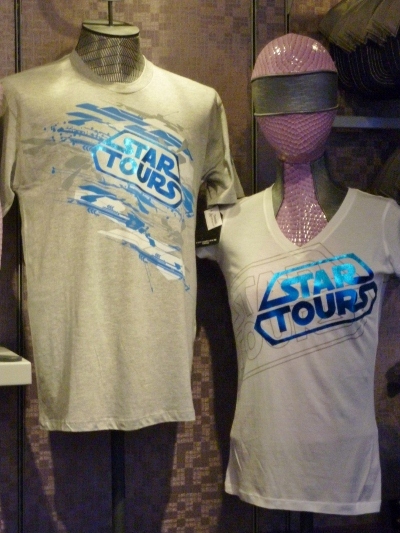 The new t-shirts greet you at the entrance to the shop, as well as in the “returning shuttle terminal”. 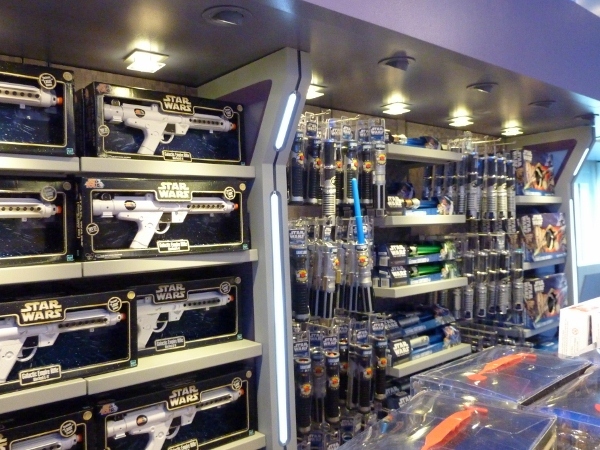 I imagine that most of it will also be found at Star Trader’s sister shop, Tatooine Traders in Disney’s Hollywood Studios at Walt Disney World. I liked the use of foiling in the logo and the shirts were soft. 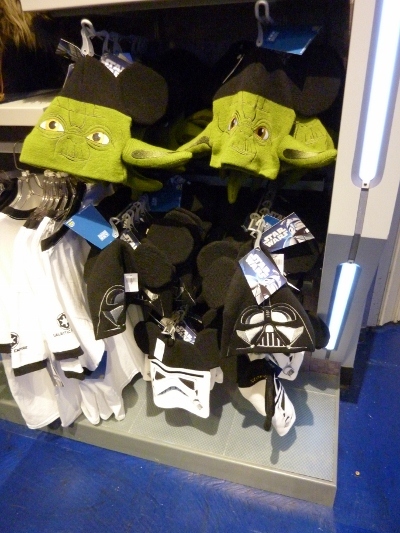 There were many other new clothing designs, featured near the ride exit. including these new, funky knit hats. 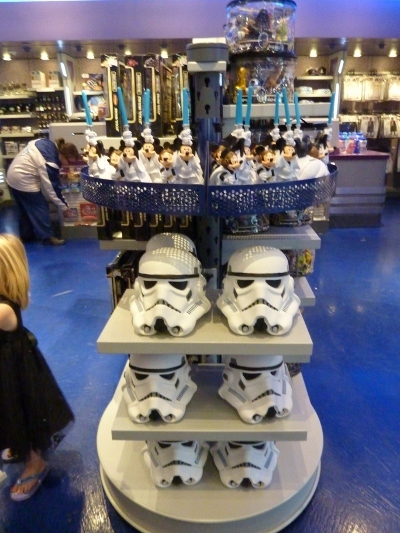 While I love the Mickey-eared Imperial Stormtrooper one, they also did something else cool with Stormtrooper heads…. and these “action figures” that will inspire more adventures. 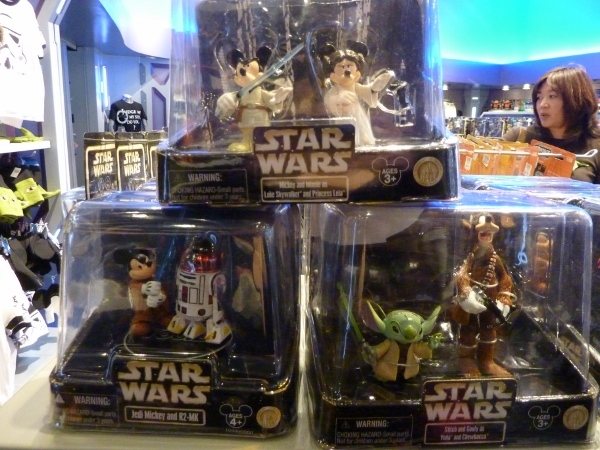 Of course, you can still get the usual models, non-Disney figures and playsets, and an R2D2 light chaser, to top it off. There ae just more choices now. In fact, confession time. I’m a goob/girl-mommy and thought this was so cool, that I’m actually writing another blog on building one from scratch!!!! Stay tuned! 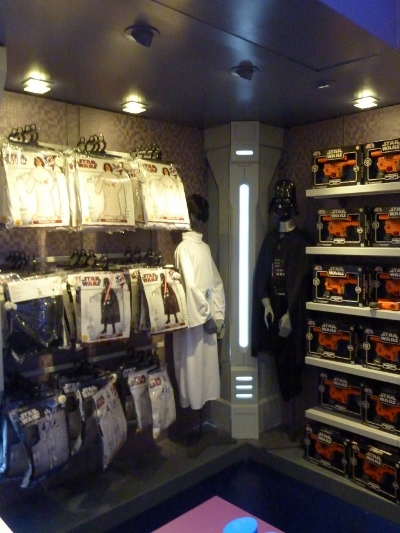 Once you have your custom lightsaber in hand, all you need to complete the Star Wars immersion is to pick up one of the handy costumes in the corner. While many will enjoy the availability of these looks, I’m going to set my sights on something a little more my speed. 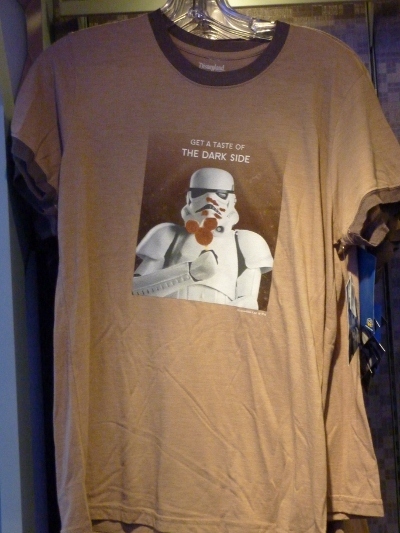 Remember those stormtroopers?